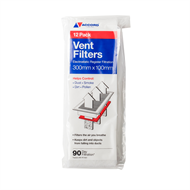 These Accord vent filters manufactured from a self-charging electrostatic material, trap dirt, dust, smoke, and pollen-size particles. 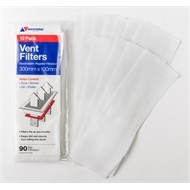 They provide 90 days of filtration before needing replacement - leaving no need to clean. They fit standard 10cm x 30cm vents.